Chapter 3 of the Succession Act 2006 (NSW) (“the Act”) enables certain persons, who fall into defined classes of eligible persons, to institute proceedings seeking an order that provision, or further provision, be made for them out of an estate of a deceased person. This type of order is called a Family Provision Order. In the years 2016, 2017 and 2018 a total of 2,972 applications were filed in the Supreme Court of New South Wales seeking a Family Provision Order. In the same period, 3,040 Family Provision matters were disposed of. The vast majority of disposals were by way of settlement (as opposed to the Court giving judgment after a fully-contested hearing). Whenever a Family Provision Order is made in favour of an applicant, either by way of settlement or contested hearing, there will inevitably be someone who bears the burden of that provision being made. Section 65(1)(c) of the Act identifies that a Family Provision Order must specify the part or parts of the deceased’s estate out of which it is to be provided. Section 61(1) of the Act identifies that the Court cannot disregard the interests of the other beneficiaries of the estate when making a Family Provision Order. Section 66(2) of the Act enables the Court to adjust the interests of any person affected by a Family Provision Order as considered necessary, and enables the Court to “be just and equitable to all persons affected by the order”. In Hoobin v Hoobin  NSWSC 705, White J indicated that, when assessing how the burden of a Family Provision Order ought to be borne, the Court has a wide discretion, which should be exercised having regard to rules of reason and justice with due regard to the whole of the surrounding circumstances. Two recent cases of the Supreme Court have dealt with the issue of how the interests of affected beneficiaries are accounted for when making a Family Provision Order. In Webster v Strang; Steiner v Strang (No. 2)  NSWSC 1411, Kunc J was called upon to consider how the burden of Family Provision Orders made in favour of an adult daughter and an adult son out of the estate of their late mother ought to be borne. Each of the son and daughter, who received a legacy of $2,000,000.00 under the Will of the deceased (in an estate in excess of $14,000,000.00) received further provision. 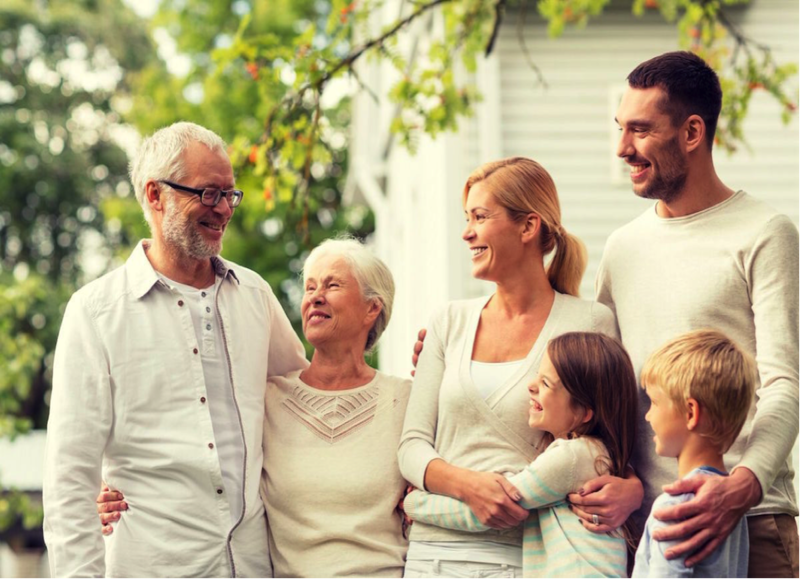 Duly recognising the deceased’s allocations between different family groups in the Will. In making a Family Provision Order, the Court is not exercising its parens patriae It is exercising a statutory jurisdiction pursuant to the terms of the Act. The proposed approach (using, as a starting point, which beneficiaries will be least affected by having their benefits disturbed) risks creating a presumption which ignores the complex, fact based, evaluative exercise which the Court must undertake, and must be rejected. In Sackelariou, Edward v O’Donnell; Sackelariou, George v O’Donnell  NSWSC 1651, Hallen J was called upon to deal with an application by beneficiaries of an estate proposed to be affected by Family Provision Orders agreed at a mediation as between the executor of the estate and the two applicants. The resolution reached between the executor and the applicants involved the relevant beneficiaries (four step-grandchildren of the deceased) contributing $62,500.00 to the settlement of the applicants’ claims. The beneficiaries indicated that they did not consent to the settlement or to the way in which it affected them. In all of the circumstances of the case, and taking into account the evidence before him, his Honour concluded that he could not be satisfied that the step-grandchildren should bear that portion of the provision agreed to be made in favour of the plaintiffs. Enquiries ought to be made of all the beneficiaries of an estate whose interests may be affected by a proposed Family Provision Order. They should be given an opportunity to be heard, including advancing any competing claim (financial or otherwise). Consideration ought to be given to alternatives available in relation to how the burden of the provision ought to be borne. Parties should weigh up these alternatives, preferably on notice to all affected beneficiaries, to ensure that the settlement reached is consented to globally. By taking these matters into account, those involved in Family Provision matters can avoid settlements being stymied at a later date by non-consenting affected beneficiaries.